We all love to give our pets lots of kisses and cuddles, but what if you end up with a nasty parasite or viral infection? Animals are unfortunately prone to a number of illnesses that can be passed to humans. These are called zoonotic diseases. Learn to spot the signs so that you don’t get caught by surprise. Campylobacter: This doesn’t only come from contaminated water and food — we can also get this bacterial infection from cats and dogs! Up to half of all cats and dogs carry campylobacter in their feces, which is how we can get exposed to it. Symptoms of campylobacteriosis include diarrhea, abdominal cramps and fever. The infection is not life-threatening, but the elderly and young children may have a hard time overcoming it. Psittacosis: Also known as parrot fever, this rare bacterial infection can be contracted by inhaling vapors from the urine and feces of domestic birds such as small species kept in the home, or turkeys and ducks. The symptoms are general — i.e., fatigue, nausea, etc. — but if you keep birds, consider getting checked for this bacterium if you are feeling unwell. Bartonella henselae: Infection by this bacteria is commonly known as cat scratch disease. It is carried by 40 percent of cats during their lifetime, more commonly by kittens. If you notice unusual swelling or tenderness around a graze from a cat, get this checked out, as the infection can spread. This is particularly a worry with young children. Salmonella: Reptiles, mainly turtles, are known to cause at least 70,000 cases of salmonella infection yearly in the United States. The infection causes diarrhea and abdominal cramps, and may last up to a week. Worms: Humans can contract hookworms, roundworms or tapeworms from contact with animal feces, or dirt or sand where the poop has been. Although most people don’t get ill from exposure, some cases result in a skin rash or diarrhea. Parasitic roundworms can cause serious illness in the rare case of human infection — these include vision loss and organ damage. Toxoplasmosis: This parasite can be contracted following accidental contact with cat feces or any surface that might be soiled by cat feces. Millions of people are infected each year, but the symptoms are usually nonexistent because the infection is destroyed by a healthy immune system. However, pregnant women, the elderly and young children are more susceptible to danger. Rabies: Pets can contract rabies from accidental contact with feral or wild animals. 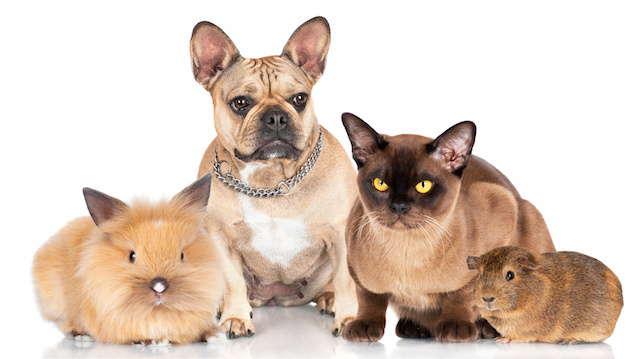 The CDC reports that about eight percent of all rabid animal cases reported are from pets. If you suspect rabies, your pet must receive treatment as soon as possible, even if they have been previously vaccinated. Rabies is a serious illness for people and can cause death. Amber collars can help ward off fleas and ticks, which can be carriers of disease. Essential oils such as cedarwood, basil or thyme can help ward off bugs. Use neem oil or neem soap on pets — this is said to keep away at least 200 different types of bugs and parasites. Wash your hands religiously after handling reptiles, or anything that may have come in contact with animal feces. Wash pets’ bedding in hot water every few weeks. Avoid sharing grooming tools, bedding or toys with other people’s pets. Keep your backyard sandbox covered when it is not in use, and prevent children from playing in sandboxes that might be contaminated with feces from stray cats. Prevent your pet from drinking water from outdoor sources, which might be contaminated with bugs and parasites. Instead, bring a bottle of fresh water and a collapsible bowl along on your walks. There are so many ways you can keep pets happy and healthy, and disease-free, naturally! Click here to read more about using essential oils as natural remedies for your pets. Hey Buddy!, I found this information for you: "Nasty Diseases You Can Get from Your Pets, and How to Prevent Them". Here is the website link: https://www.thealternativedaily.com/nasty-diseases-from-pets-how-to-prevent-them/. Thank you.